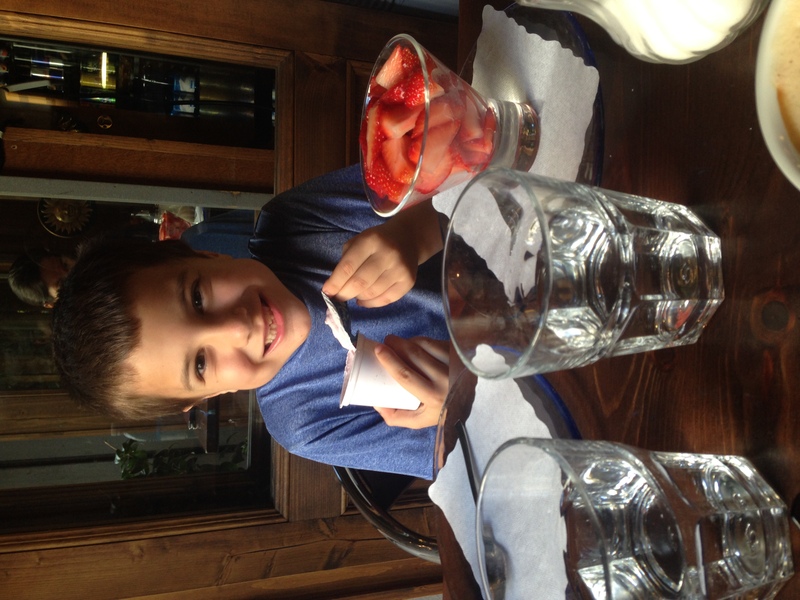 When Sylar heard that Annalea was going to get to take a cooking class he informed me that he wanted to do one too. Well….why not? We’re in Italy after all! 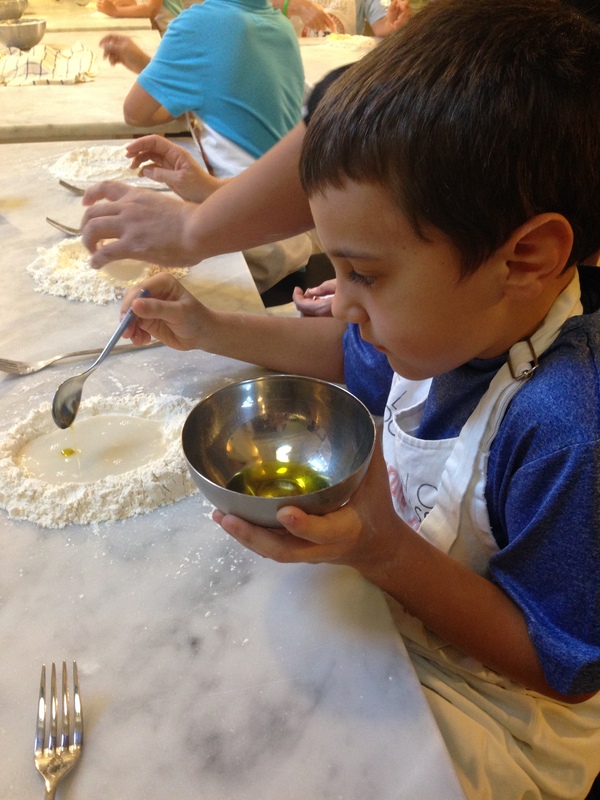 After looking at what kind of age appropriate classes we could find we settled on a pizza class using the same company we used for Annalea’s class. It was a great choice! 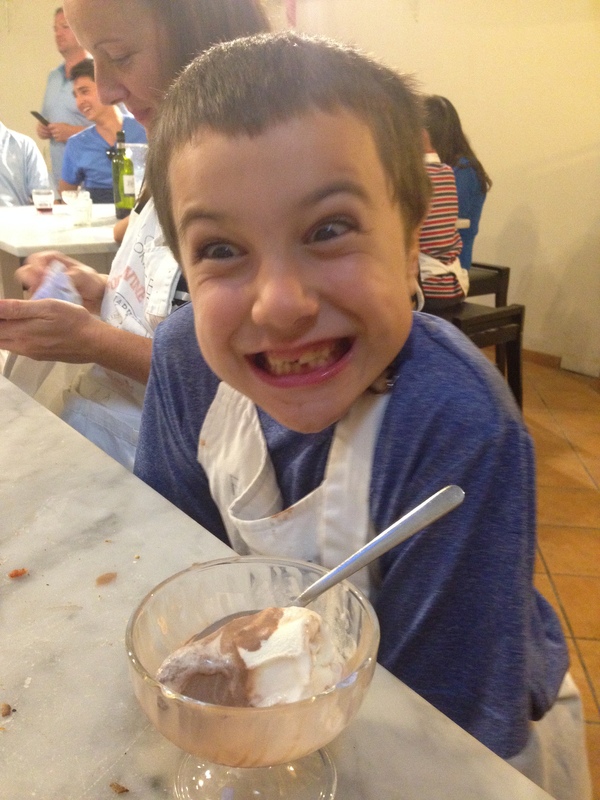 The pizza and gelato class was a bit shorter and was held in the evening at the kitchen in town. We decided to head in a little early to grab a snack at a cafe. We began at 6pm with a little history about why gelato is Italy’s favorite dessert and the ingredients used for making a basic chocolate gelato. 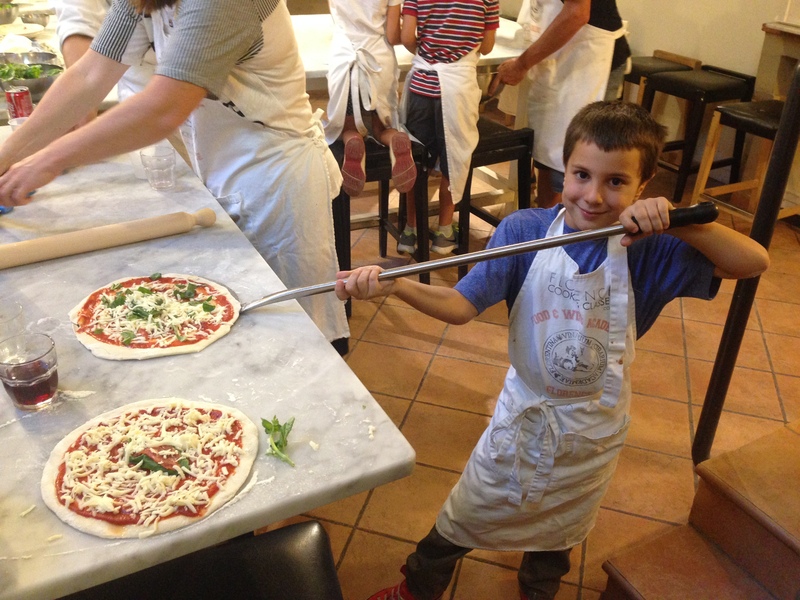 After the ice cream maker was all set up and churning, we began to learn how to make pizza crust the Italian way! This was Sylar’s favorite part! We made mountains and valleys and learned to tuck in our dough and give it love 🙂 If you couldn’t tell, our instructors were quite funny and made the class interesting for the younger folk! 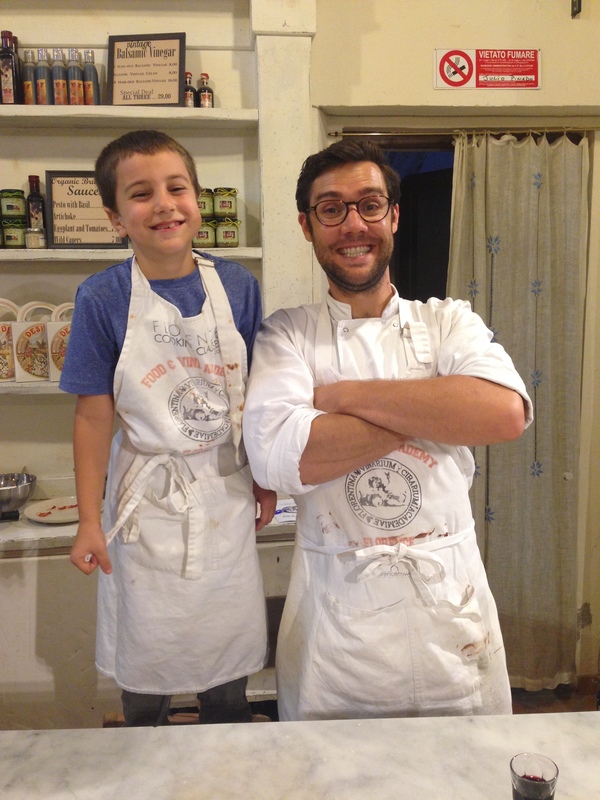 After we made our dough we created our masterpieces, popped them in the oven, and then got to eat them! 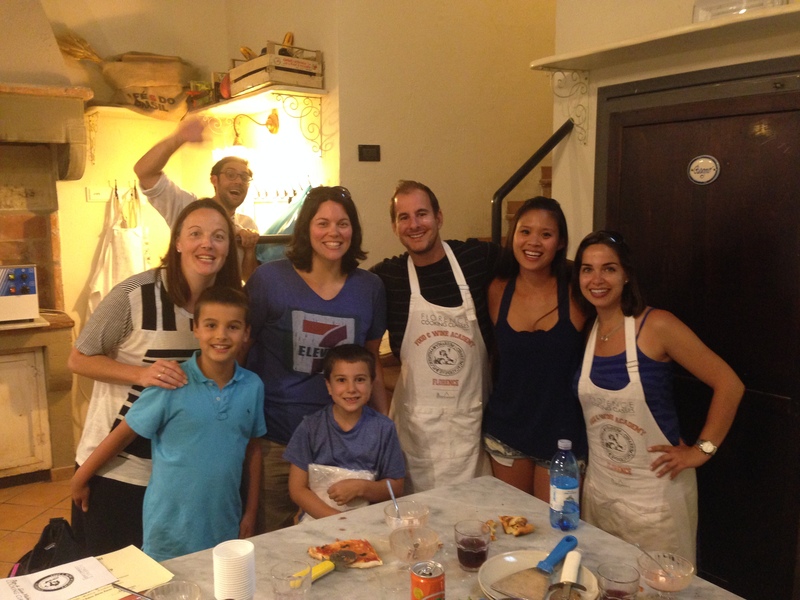 By the time we ate our pizzas and the adults drank our wine, the gelato was done and the kids all got to help scoop and deliver bowls to everyone. It was quite tasty! Sylar and I really enjoyed our class. The instructors were great, the group of people we shared our table with were chatty and good spirited, and the food of course was delicious! Since we know you guys are cupcake lovers, check out Muffins & Co if you get to Tortona. Giovanna has some of our recipes from Caboodle Cupcakes :). Tell her we said hello!